Have you ever seen an Asian mom and her kid at a restaurant and the kid is ordering for the both of them in perfect English and then confirming it with his/her mom in their native language? I was that kid and still am. How has that affected me as an adult and as a mom? When people ask me what my first job was, I would either say tutor or barista (FYI: 4 years making lattes and serving customers as a teenager helped me develop life skills I never would have acquired if all I did was school and extracurricular activities…more on kids and part-time jobs another time). However, these were the first jobs I got paid for. Like many other Asian Canadians, my first real job was being my mom’s interpreter and translator. When I was really little, my mom’s limited English skills weren’t an issue because I only spoke Cantonese at home. I understood her and she understood me. That was, until one day at Kindergarten. For Easter, my teacher asked us to bring a hard-boiled egg to school. I went home and told my mom. She obviously wasn’t familiar with the North American ways of celebrating Easter but she knew I needed to bring something to decorate. She thought a hard-boiled egg meant an egg-shaped rock (石頭蛋) because why would anyone decorate real eggs? Eggs are for eating. So my mom and I went out to the backyard, looking for white, oval-shaped rocks. The next day, I showed up at school with the rock in my hand. 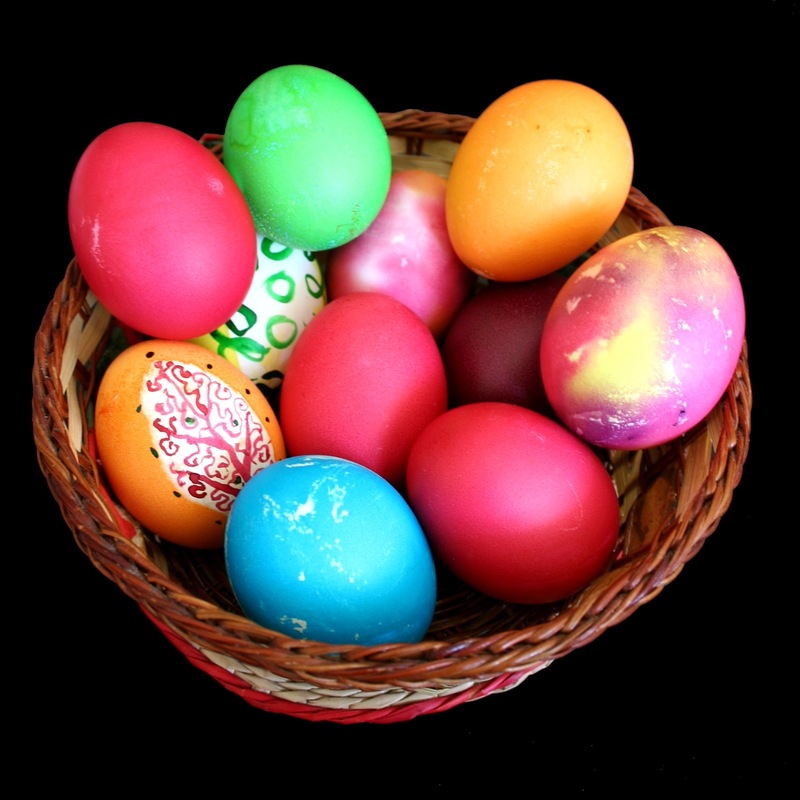 As my classmates began to decorate their eggs, my face turned beet red. I showed my teacher the rock and it became one of those lost in translation moments. Those feelings of embarrassment blurred the rest of my memory. I don’t remember if I ended up decorating my rock; however, I do remember being angry at my mom. After that day, the resentment I felt towards my mom fueled my motivation to learn English quickly, taking on the role as my mom’s interpreter/translator because I wanted to avoid situations like that. My mom’s English has never been great. She took some English night classes when she was in Hong Kong. When she moved to Winnipeg, she made friends with the few Chinese people that were there. Then she got married and depended on my dad, my sisters and I. She worked in a Chinese-owned furniture company, surrounded by Cantonese-speaking coworkers. The thing with my mom is that she’s resourceful. So she always finds a way to get by, asking others for help. When someone immigrates to Canada, should they be expected to be fluent in English? By choosing to immigrate here, I think it implies that the person appreciates the Canadian way of life more so than their home country. If they don’t, why aren’t they back home? Not understanding English is a behaviour that is easy to recognize (and easy to criticize). However, it does not reflect someone’s deeper values and beliefs. To me, it’s more important for an immigrant to adopt an accepting and open-minded attitude and embrace our nation’s melting pot of cultures by respecting diversity, breaking down silos of ignorance and practicing gratitude for the opportunity to live here than to master a language. And as I’ve gotten older, I realized that being raised by my immigrant parents contributed to this belief. My mom wasn’t ashamed to ask for help, which allowed me to develop the intuition to be sensitive to others when they don’t speak English. During my maternity leave, I attended a mommy group and met a mom who recently immigrated here from China. Her son was about the same age as my daughter. We started chatting in English about our backgrounds, our families and how I understand Cantonese but not much Mandarin, the dialect that she spoke. She told me that it is good I understand Cantonese even though I was born and raised in Canada. I tell her it’s because my mom doesn’t know a lot of English and I want to keep communicating with her. Because my mom wasn’t ashamed to ask for help, it allowed me to develop the intuition to be sensitive to others when they don’t speak English. Obviously, I won’t need my daughter to be my translator but what if I applied the same approach with issues that I do struggle with like relationships, anxiety, stress, body image, perfectionism etc? As parents, we often want to present a “perfect” version of ourselves to our kids because we are the ones who are guiding them. We are their role models, their “superheroes”. We don’t want them to see our vulnerable side. We don’t want them to worry because we want to protect them. It’s our natural instincts as parents. However, I think it’s important to recognize our weaknesses, communicate that to our children (when they are old enough to understand) and explain how we are trying to work on them. It lets them know we are human and that despite our shortcomings, we persevere through life even with all its bumps. Therefore, as a mom, I strive to present myself not as a “superhero” but as a flawed being who asks for help because I think it will teach my daughter to treat herself and others with greater compassion, empathy, and kindness. So Readers, did you ever need to help translate or interpret for your parents? Would you consider that your first real job? Feel free to comment below or directly at her blog. Next Next post: make some noise for your girl, K U D O!